This tutorial is past its time (Valentines two weeks ago), but since I wasn’t able to finish my original post for today, I hope you don’t mind the switch. 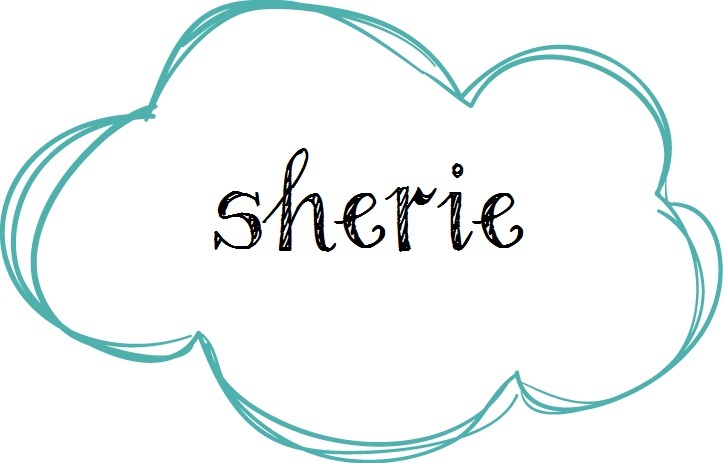 I originally posted this on my Facebook page at Sherie’s Craftagious Corner. But I usually only post a brief description and pictures. Here is a full tutorial, not very long though. My original inspiration was all the nail art I’ve seen on Pinterest where you use actual nails, wood, and string. But I couldn’t find my small nails during that time and so I had plenty of needles and thread to substitute. 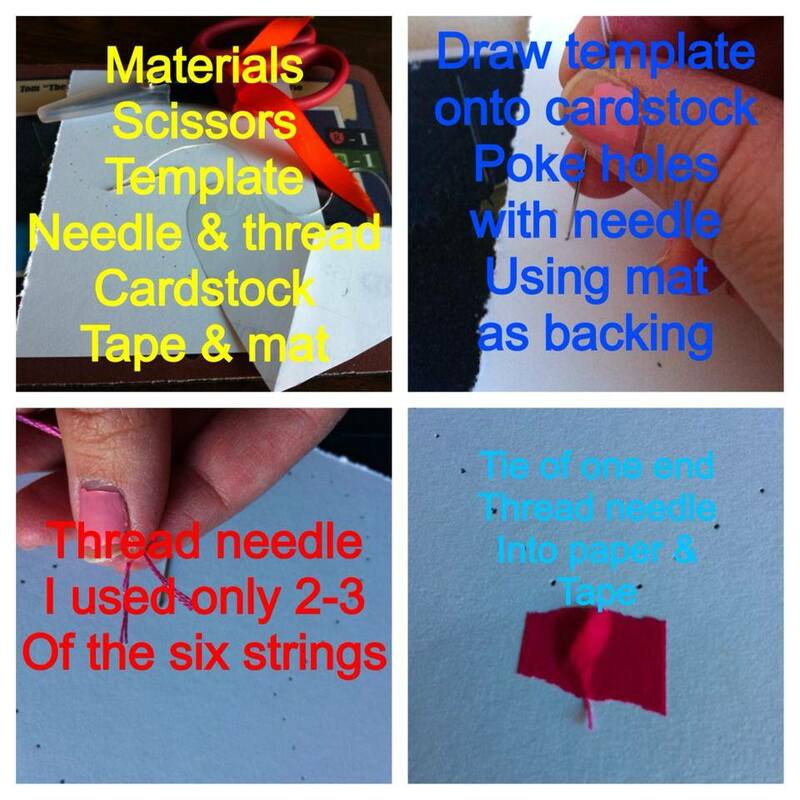 Mat – something to stick needle into. I just used one of my mouse pads, works the same and protects the table surface. 1. Trace template onto cardstock. A heart is simple, so I just used the back side of my cardstock to trace the heart and pin my holes. Spacing on holes is up to you, but remember the more holes you have the more you have to thread. 2. Thread your needle with your choice of thread. I used embroidery thread (2 strands) and made sure to have the knot on the back of the cardstock. Tape the knot down to hold in place. I love washi tape, its very trendy and because its removable it makes a lot of projects easy. 3. Start threading your pattern. I wasn’t courageous with this pattern and just choose a straight stitch. I get weird that way about certain things. I really didn’t want to have to redo this pattern if I messed up the heart. 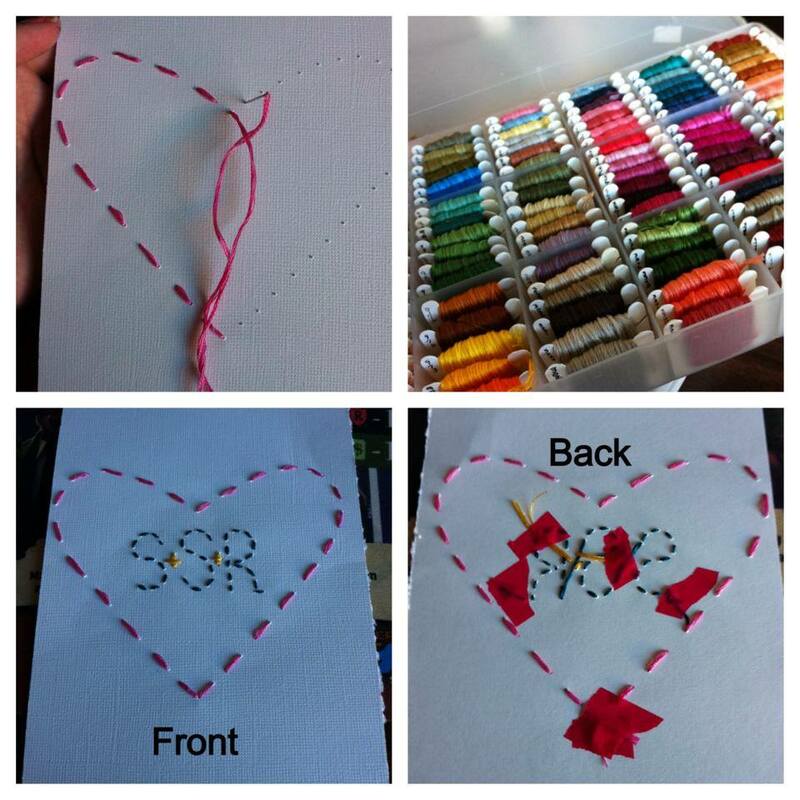 Here is an example (below) of a different pattern I used on a smaller heart. You can really just use your imagination. That’s what I loved about the nail art especially when its on a larger scale. 4. 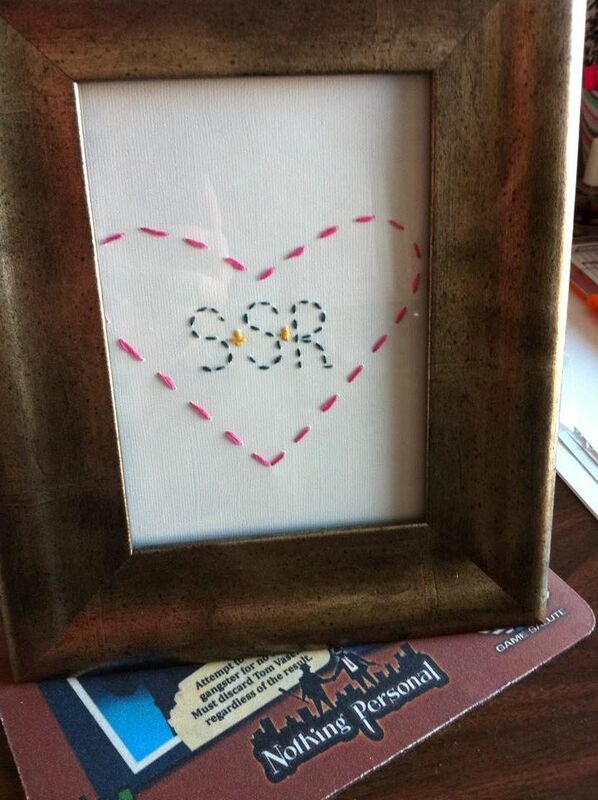 Frame up your Embroidered Art and its all set. I got this frame from Target and I use it for all my art. It sits on my mirror wood tree by the entryway of our door. Its about 5 x 7 and the best part is I can change it out to suite the holiday. Short and Sweet! Use this for upcoming St. Patricks Day or Birthday cards and hope you have fun with it! 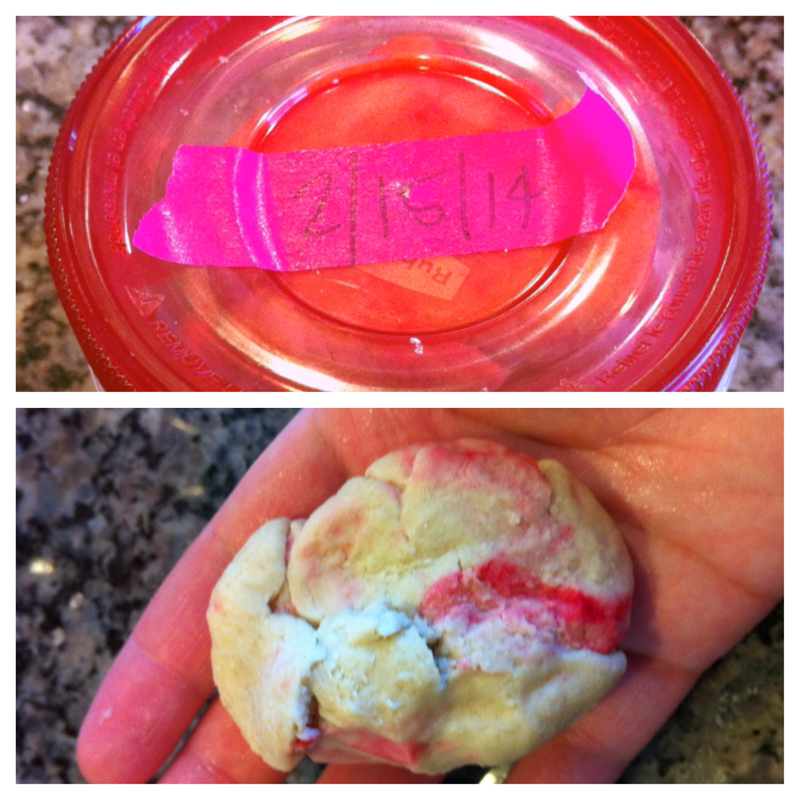 Since my daughter turned one last April, I have been pinning like crazy different recipes of play dough. There are (too) many to choose from that are edible, some require cooking, and others are no cooking recipes. I aim for the easiest of it all and since I prefer cooking as little as possible; I found this great recipe at Fun at Home with Kids. I had everything the recipe called for in my kitchen and so I thought I’d share with you my process and thoughts on making it. 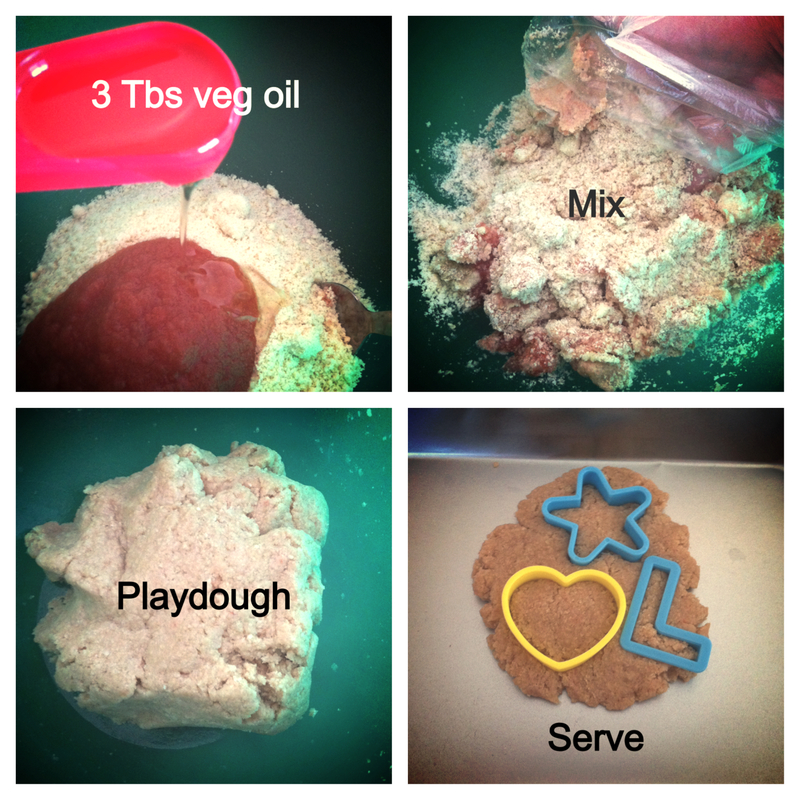 The pictures provided for this post are my second attempt at making the play dough. Our first time was on February 15 and my girls only played with it for about 5 minutes before moving on. But I did do some things different each time and I will share what I liked and what I didn’t. The original recipe said rice cereal, but I only had oatmeal. It still works! I just used Extra Virgin Olive Oil. I’m not sure if its corn flour, but the second test I used Almond Flour. 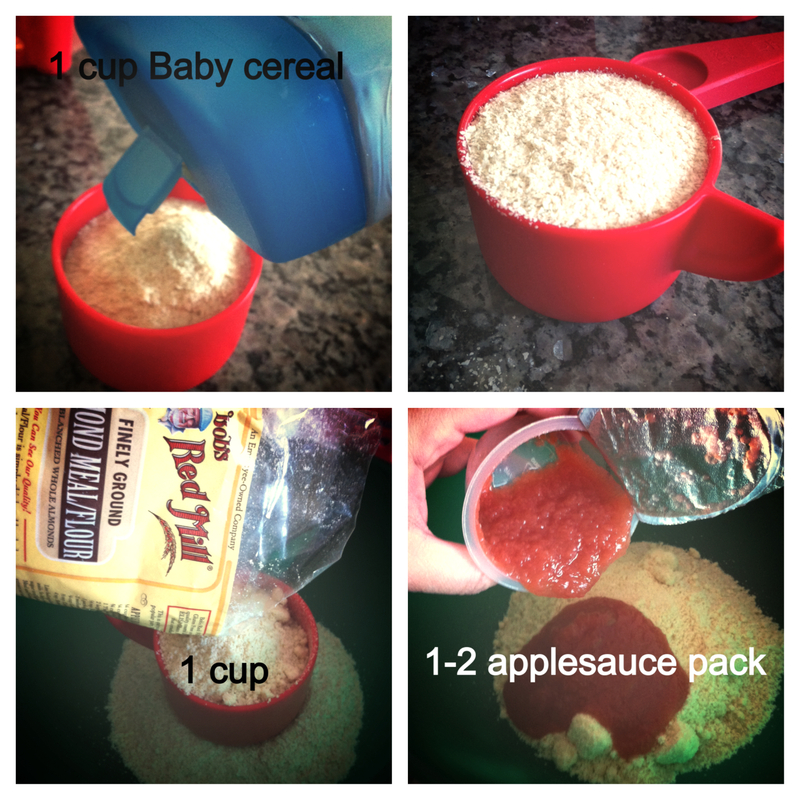 The first attempt I used about 1.5 packs of applesauce. The second time I only used one, but it was strawberry flavored. I think my food coloring must be bad because it hasn’t blended well with any of the projects I’ve done in the past couple years… then again it may be about 5 years old…yikes! On my first trial of the play dough I used cornstarch instead of almond flour, about 1.5 packs of applesauce, and added red food coloring. Because this is edible, I tried it before my girls did just to make sure it wasn’t yuck! It actually was bland at first and had a sweet after taste from the applesauce. I thought the cornstarch would make it cakey, but it was really smooth in texture. 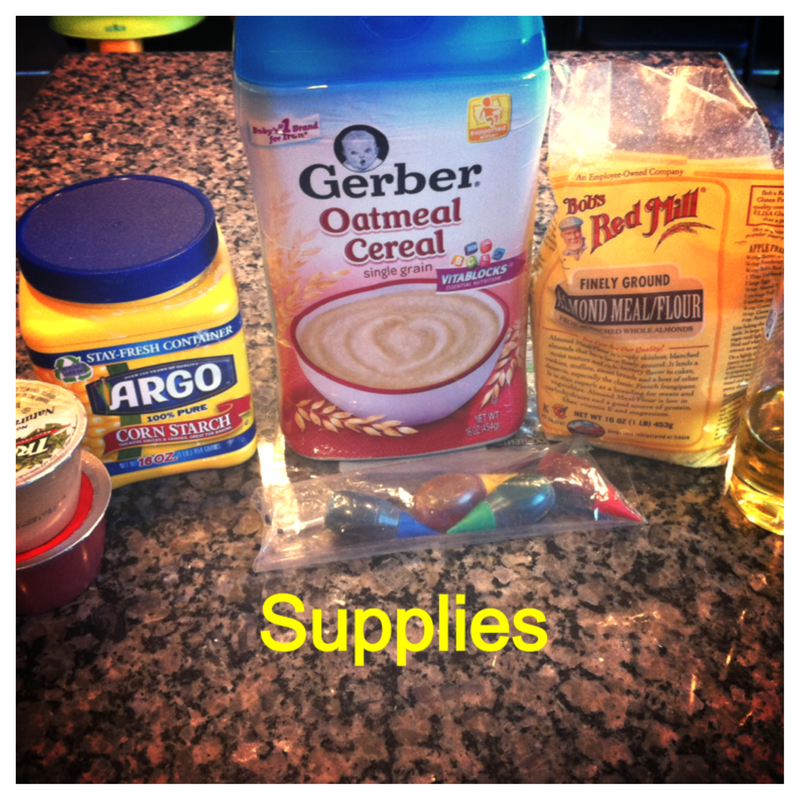 Also I initially added only one applesauce pack (1/2 cup), but it wasn’t mixing well. I added ½ of the second cup and mixed slowly. 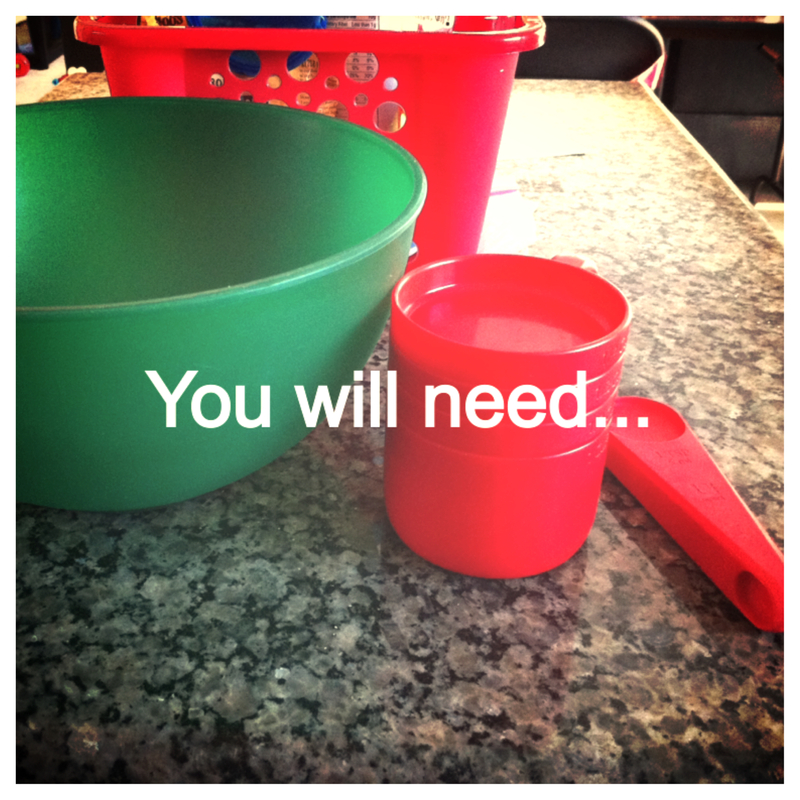 The instruction from Fun at Home with Kids says to either add more flour or water depending on dry or wetness. Overall it was easy to mold in my hands and the babies loved playing with it. My only fail was the food coloring. As you can see from the picture below, it didn’t blend well for me. I think either the food coloring is expired or I mixed it in at the wrong time. I had this in the fridge since I made it on the 15th and opened it up again on the 25th. 10 days is truly too long for its shelf life. It had a smell when I opened the container, so I threw it in the trash immediately. I will watch more closely with the second batch when it starts to turn. My second attempt I changed a few things. I used almond flour instead of cornstarch, no food coloring, and I used strawberry flavored applesauce (that’s all I had). My thought process was that if I used already colored applesauce, it may help turn the color of the play dough more pink-ish. Nope! I think because I used almond flour, which is much heavier in texture than the fine cornstarch; my plan failed again. But then again, it may have just not worked because it wasn’t food coloring… uh. Yea, here is the step by step pictures I took. Pretty self explanatory and please refer to original post for all the details. I used alphabet cookie cutters. My little bunny is really into her letters as of late. 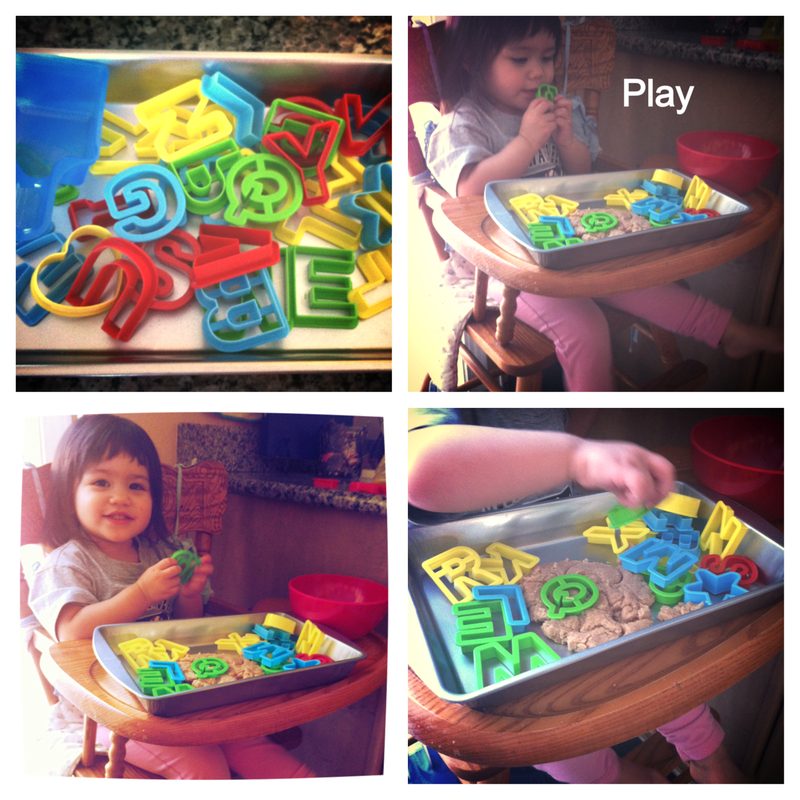 Although she is starting to call almost all her letters “W” which she learned from her daddy. Its OK though, she’ll have fun playing with all her “W’s” in the play dough. Hope my trial and error in play dough making helps you make yours better the first or second time. I always like to see the trials and what needed to be fixed. Anytime I attempt a recipe through Pinterest, it doesn’t always work out perfectly for me the first time. Thanks for reading along. I’ll be posting a DIY tutorial this Friday. Good Afternoon! Welcome to my take on Organizing, Playing, and Creating. My goal for this blog is to share my organizing journey. As a mother to an almost two year old and homemaker, I have increased the amount of my time spent trying to organize our home and create a welcoming atmosphere. 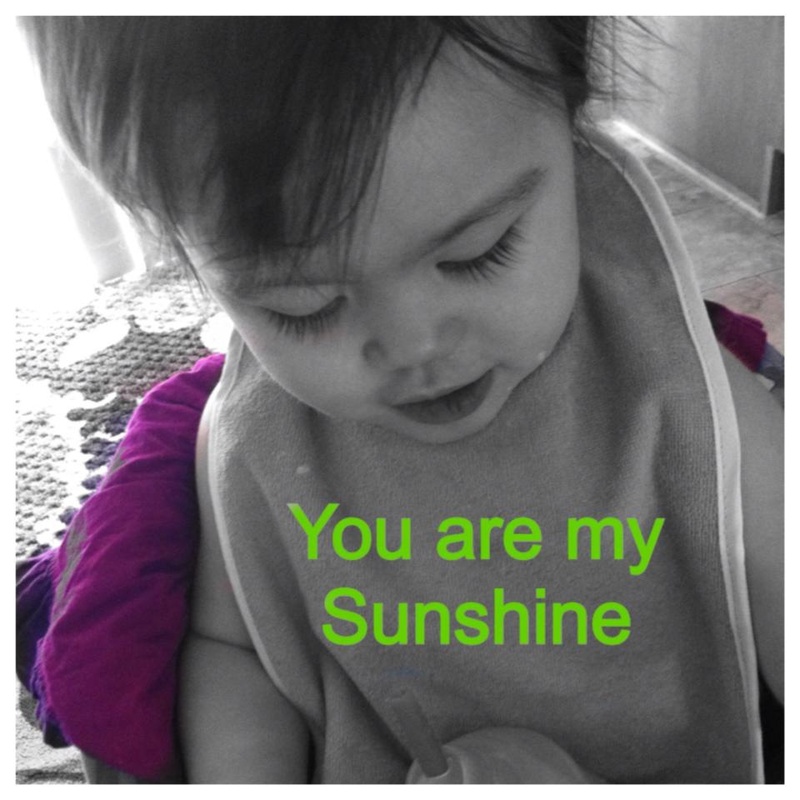 The playing aspect is all the learning and developing tools that occur with my growing family. I hope to create a naturally curious place for my child through indoor and outdoor activities. Lastly, my creative side is inspired by my friends and family, Pinterest, and many other social media. 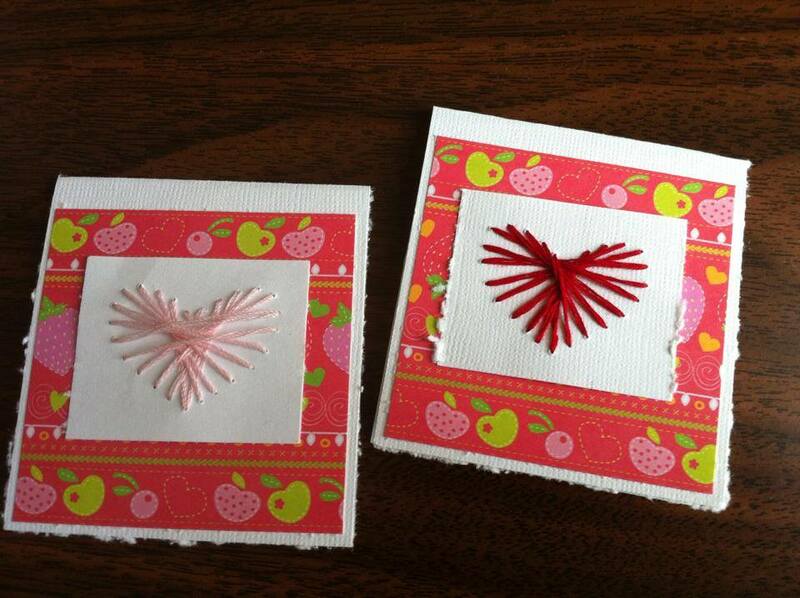 I enjoy almost all crafts including sewing, woodwork, scrapbooking & journaling, and much more. I honestly don’t remember what happened to January and February of 2014. With the first of March approaching quickly, I have decided to dedicate some certain activities to the first of each month. What do you do the first of the month? Whether it’s paying your mortgage, restarting your exercise goals, or grocery shopping for the month, the first of the month is really important in my book. I declared to myself for a 2014 New Year’s resolution to change our bed sheets on the first of the month. This is a big declaration…to me at least. Before, I probably would remember to do it every 2-3 months. And I don’t know why it never occurred to me to have a set routine for it. My husband sets a reminder to change out our air filters (every 3 months). And he does an excellent job following it. Yet there are some reminders and declarations that I set for myself or my family and they get pushed aside. I tried doing a monthly review of our financial budget. The first time the reminder pops up on my phone calendar, I ignore it and head over to Facebook or Pinterest. What I realize now that I should have done was have a trial period or probation period to test how well my reminder system works and if it’s not, readjust the setting. So instead of a monthly financial budget review with hubby, it should be a quarterly (every 4 months) to make sure we are following our goals. Now that I look back, I was already doing a quarterly system. But because I also kept a log of our spending, the longest part of budget review was the journaling. That got annoying fast! Finding a system that works on a weekly, monthly, and yearly basis is tiresome. For the most part all our bills are on auto pay. There are a select few that I have to remember to go in to pay. The execution of the new financial budget review can only be accomplished if I have an office space set up to its specifications. Setting up my office to pay bills and address certain items is important. My goal for the next couple of months is to have a working system and review if it works well with you. What is your first of the month routine? Here are a few ideas and suggestions of what your first of the month can be. Also, include family members in your first of the month concept and find a special duty they can fulfill each time. – Have your child wipe all the blinds of dust. – Wipe down baseboards and sterilize doorknobs. All these and any others you can think of would be great ways to start the next month in a productive and fulfilling manner. Hope you get inspired to find your first of the month tasks!